With pitchers and catchers set to report to Spring Training in just a few short weeks the 2019 MLB season is almost here. As with every season 2018 had its fair share of surprises. Whether it was the Oakland A’s coming out of nowhere to win 97 games and nearly take home the A.L. West, or the emergence of prospects such Gleyber Torres and Ronald Acuna Jr. onto the scene as all-star caliber players. With that being said now is great time to share my five bold predictions for the 2019 season. The last two seasons have been nothing short of awful for the Toronto Blue Jays. Coming off of the high of back to back trips to the ALCS in 2015 and 2016 the Jays now find themselves in the midst of a rebuild. Despite the last two seasons of subpar play, the Blue Jays finally have some light at the end of the tunnel. Top prospects Vladimir Guerrero Jr., Bo Bichette, and Danny Jansen among others are nearing MLB readiness. This signifies what could be the turning point in the Blue Jays rebuild. The talent that the team has in the minors coupled with the quality players currently in the majors could turn the Jays into a playoff contender. In addition to the on field talent, Toronto will be heading into 2019 with an almost entirely new coaching staff. New manager Charlie Montoyo has said all of the right things this winter and has filled the Blue Jays faithful with a sense of optimism for 2019. Montoyo, who coached under Kevin Cash in Tampa Bay, will likely bring some of the unorthodox tactics that helped the Rays succeed to Toronto. As with any team health will be a huge factor in the Blue Jays success this season, particularly in the rotation. If pitchers Marcus Stroman and Aaron Sanchez can stay on the field then the Blue Jays will have a rotation that can stand up to just about any team in the league. Health and the impact of the young prospects will go a long way in deciding how good the Blue Jays will be in 2019, but on paper they are a talented bunch poised to surprise a lot of people. 2018 was an extremely disappointing season for the Twins. After a playoff berth in 2017 they had high expectations for themselves as an organization to be back in the postseason again in 2018. However this wasn’t the case and the Twins finished well outside the playoff hunt with a record of 78-84. Turning ahead to 2019, the Twins have a new manager in Rocco Baldelli. In addition to a new skipper Minnesota has added some serious right handed power to their lineup in second baseman Jonathan Schoop and designated hitter Nelson Cruz. These two bats will undoubtedly help the Twins offense which struggled heavily in 2018. With these new additions there is no reason for the Twins to not be competitive in what is an extremely weak division. The Cleveland Indians won the division with a record of just 91-71, which would’ve been good for third place in the A.L. East and A.L. West. With the Indians seemingly slipping, now is the time for the Twins to step up and take over the American League Central, something they will likely accomplish in 2019. It has been quite some time since Matt Harvey was starting the All-Star Game at Citi Field. Since then he has gone from the next big thing to what could’ve been. The Mets finally dealt Harvey last season, sending him to the Cincinnati Reds. During his time with the Reds, Harvey showed flashes of his former self finishing with an ERA of 4.50 in 128 innings pitched. He recently signed a one year deal with Los Angeles Angels in what could be an absolute steal for the club. Harvey seems to be getting himself back on track, and while he still isn’t close to where he was with the Mets, he is well on his way back to being a top end of the rotation pitcher. After taking some small steps in the right direction in 2018 there is plenty of reason to believe that Matt Harvey will regain his status as the ‘Dark Knight’ with the Angels in 2019. Last season was an absolute disaster for the Mets. The club had the best pitcher in baseball in Jacob deGrom, but couldn’t do anything on the offensive side of the ball. They struggled to score runs on a nightly basis which resulted in them missing the playoffs by a large margin. 2019 figures to be much different in Queens. For starters the club led by new GM Brodie Van Wagenen, added second baseman Robinson Cano and closer Edwin Diaz. These additions could have a monumental impact on the team this year. Cano proved even after his PED suspension he can still be a above average bat, something the Mets desperately need. As for the addition of Diaz, this gives the Mets an elite option to close out games. He was by far the best closer in baseball in 2018 racking up 57 saves. In addition to the additions of Cano and Diaz the Mets also brought back a familiar face in reliever Jeurys Familia. Familia was traded by the Mets to Oakland last summer, but now finds himself back in the Big Apple. This time around Familia will likely find himself in a different role due to Diaz having the ninth inning locked down. Having Familia and Diaz as an eighth and ninth inning combo to close out games is as good a back end of the bullpen as there is in the game. The Mets have also added catcher Wilson Ramos over the winter making their offense much more potent than it was a season ago. Having an experienced catcher who can play solid defense and swing a plus bat will go a long way towards making the Mets contenders in 2019. 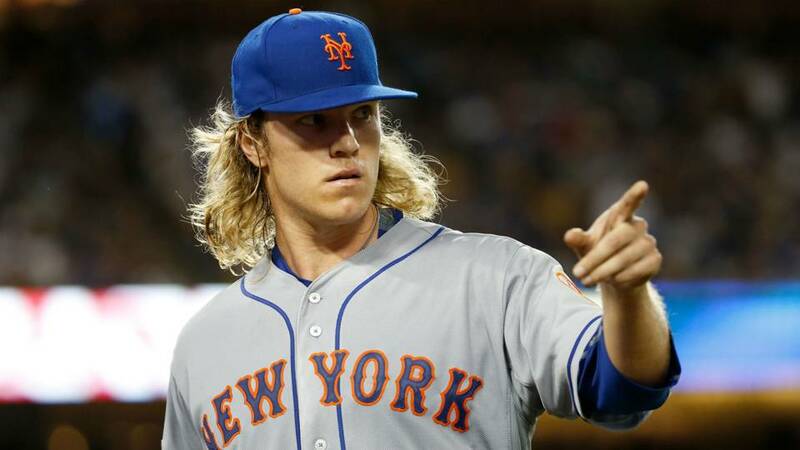 These additions to the bullpen and lineup have the New York Mets in a prime spot to make a postseason push this season. Nolan Arenado has been one of the best players in baseball over the last handful of seasons. He is currently entering the last year of his contract and is due for a major payday after the 2019 season. With this being said it is uncertain if the Colorado Rockies will be able to re-sign him. Rumors have been swirling regarding Arenado and his impending free agency as many people close to the game believe he may end up somewhere else other than back with the Rockies. One optioned that is a little underexplored is the possibility of the Rockies trading Arenado before season’s end. If there is a real fear among the club’s executives that the star third baseman will leave in free agency, then it would make sense to capitalize and get a return on him. Now this may seem a little far fetched since the Rockies have been contenders in each of the last two seasons, but remember these are bold predictions. It makes all the sense in the world for Colorado to explore a potential deal for Arenado especially if the organization thinks he will leave in free agency. The Rockies have their next great infield prospect in Brendan Rodgers close to MLB ready, not to mention they will get an absolute haul back for Arenado regardless of where he is dealt. The 2019 MLB season is sure to give fans their fair share of twists and turns. There are plenty of teams that are ready to shake up the postseason landscape as well as plenty of players poised to break out and make a name for themselves. As with any bold predictions article take these for what you will as they are just my own opinions on the landscape of the league and what has a good chance of happening heading into this season.